Eric is an engaging, empathetic and highly effective Registered Physiotherapist and Registered Psychotherapist (Qualifying). He is passionate about providing a tailored approach to each of patients, where their own experiences, abilities, and goals are incorporated in order that they achieve the best possible outcomes. He creates a highly effective therapeutic experience by combining advanced manual therapy techniques with other therapeutic modalities including acupuncture, exercise therapy, behavioural coaching and education, and ensures that patients leave every session feeling excited about the gains in physical function that are possible for them. 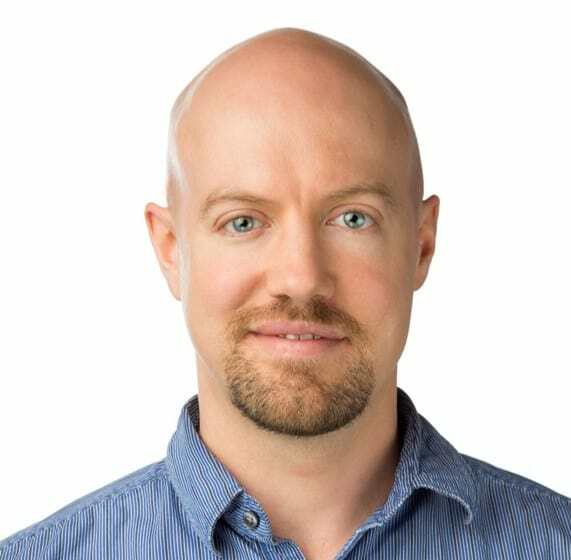 Eric holds a Masters degree in Physical Therapy from the University of Western Ontario, and has received advanced training in orthopaedic manual therapy through the Canadian Academy of Manipulative Therapists. He has also completed the Ontario Psychotherapy and Counseling Program, which included a thesis on Bioenergetics. Eric has special interest and training in Chronic Pain treatment and management, both in his capacity as a physiotherapist, and also as a psychotherapist. Physiotherapy and psychotherapy can offer complementary approaches to help reduce the central nervous system hypersensity responsible for initiating and perpetuating chronic pain. Always seeking to learn new techniques and advance his skills, Eric has taken the Advanced Physical Therapy Education Institute’s acupuncture and dry needling course, the McKenzie Mechanical Diagnosis and Therapy coursework for the Lumbar Spine, and is currently the manual therapy instructor for the OIEPB Physical Therapy Bridging Program at the University of Toronto. From his experience as a personal trainer, Eric is also a big believer in fitness training and general health promotion, and brings this additional expertise to bear in his treatment sessions. Eric has many years of experience working with a variety of individuals from all walks of life, ages, and backgrounds. Be they an office worker or athlete, a new mom or a senior, an injured worker or someone seeking to achieve a new physical goal, he has an exceptional ability to relate to all of his patients. Eric enjoys a very active lifestyle himself, participating in many sports including baseball, basketball, and his regular men’s hockey league games. When not lacing up for one of these activities, you might find Eric spending his free time playing guitar, reading, or kicking back with family and friends.